Hello. Another week of simple happy things although not so simple this week (I've been spoilt). ♥ Pancakes - I got it right this year and made enough batter mix to keep everyone happy. 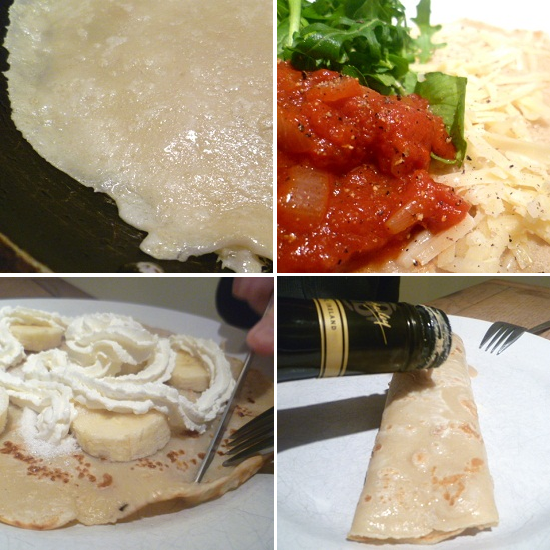 Savoury pancakes, sweet pancakes and boozy Baileys pancakes. ♥ Coffee at home this morning. A moment of calm. ♥ Kindness and surprises: home made birthday cake, a magazine, chocs and this lovely plant. Thank you. ♥ Lighting a candle makes an evening feel more special. Thank you all for my birthday wishes and comments this week. And welcome to my new followers. Great happy things. Bailey on pancakes - why has this never occurred to me? ?